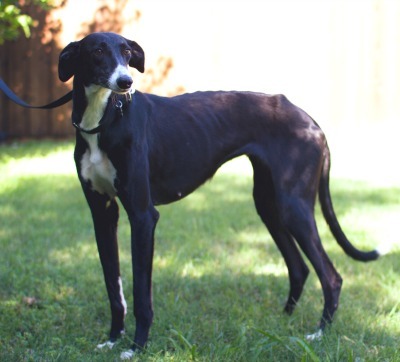 Sidney is a approximately 2 year old black and white greyhound. She was found as a stray by Fort Worth Animal Care and Control. Sidney has a very high titer to Ehrlichia Canis, and her eight week treatment has begun. Sidney has been successfully treated for Ehrlichia Canis and has a negative PCR test. She has completed all of her medical procedures and is ready to find her forever home!